Chinese buyers are circling to buy Johnson & Johnson’s diabetes care business, as the US conglomerate looks to exit the market. Several Chinese firms are said to be interested in buying J&J’s diabetes businesses including LifeScan, insulin pump business Animas, and insulin pen business Calibra. Citing five people in the know, Reuters reported the interest, which reflects the huge anticipated growth in diabetes care in China over the coming decades. The World Health Organization estimates that almost one in three of the world’s diabetes patients lives in China. 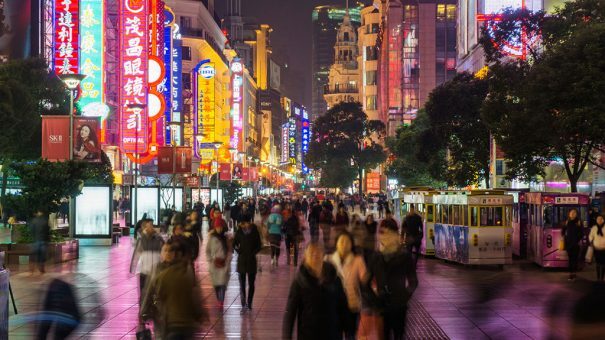 There are more than 110 million people with the disease in China at the moment, and this figure is set to rise to more than 150 million in 2040, according to the International Diabetes Federation’s World Diabetes Atlas. Reuters said that among the potential bidders is a consortium being formed by Shezhen-listed Sinocare, which develops and manufactures blood sugar monitoring systems. China Jianyin Investment, a unit of sovereign wealth fund China Investment Corp, is also involved and the group has hired an advisor, according to two sources. J&J told Reuters in a statement that an evaluation of strategic options for LifeScan and Calibra is ongoing, and that the company has no announcement to make at this stage. Goldman Sachs is reportedly working on the sale, although the bank has declined to comment, and Sinocare has yet to confirm the information. The move may suit J&J, which has seen revenues at its diabetes unit fall in recent years. In October, Animas said it intends shut down its business and discontinue sale of its Animas Vibe and OneTouchPing insulin pumps, transferring around 90,000 patients over to rival systems from Medtronic. Medtronic was first to market with a ‘hybrid closed loop’ system, where an insulin pump changes patients’ dose based on feedback on blood sugar levels from a sensor. While J&J is trying to exit a business where it is struggling with low margins, analysts cited by Reuters expect that Asian buyers could squeeze more from these assets. Last year, Novo Nordisk said that China represents an untapped market for its GLP-1 class diabetes drugs because of the predicted growth in incidence of diabetes over the coming years, with many people yet to be diagnosed.